Video content perfectly reflects the dynamics of cryptocurrency recognition, the degree of trust in it and its use not only by ordinary users, but also by big business. As shown in the video, to date, three hundred and twenty-seven startups are working closely with Dash, which leads the country to the third position after the United States and Venezuela in its application. 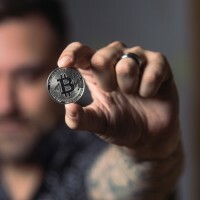 According to channel coordinator George Donnelly, if we take the fact that the rate at which the faith in the coin and the people’s enthusiasm grows occurs at a certain rate, in the next five years it will simply become an indispensable tool for the entire Latin American business sphere. And the number of companies in it totals about three thousand, while in the world there are more than 4,800. The fact that cryptocurrency provides can not be given by any bank or by any government. This is financial independence and control over personal funds. Mobility and freedom are the success factors of this choice, and they are progressing.